Discover Zermatt - Matterhorn from the most beautiful sides. Memorable skiing adventures await you. 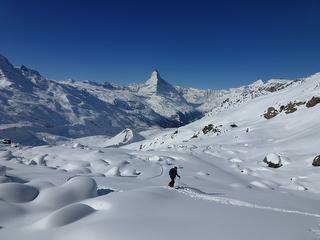 Discover the ski area in Zermatt in deep snow and off the ski slopes. Enjoy discovering the mountains. Make your first run on skis/snowboard with an instructor. The competent Zermatt guides guarantee the most beautiful mountain experiences possible. Enjoy discovering the mountains. Make your first run on skis with a ski teacher. 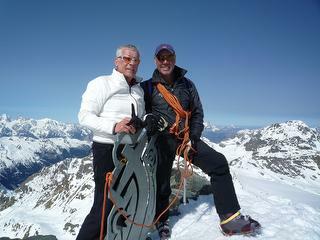 Climb the Matterhorn with a mountain guide. 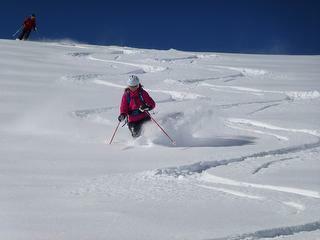 The competent Zermatt guides guarantee the most beautiful mountain experiences possible. On skis and with crampons and rope. Rent skis and equipment quickly and conveniently? Book skis and ski equipment online from home and save 10% as well.